The secret heroes of the Space Race touch down in the Piazza. By Patrick Rapa·	 5/18/2017, 1:04 p.m.
Janelle Monae, Taraji P. Henson and Octavia Spencer star in the Best Picture-nominated film. 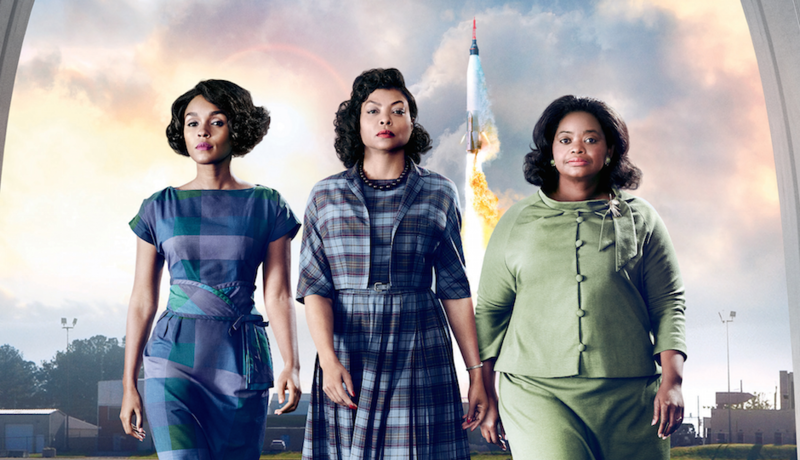 Hidden Figures tells the true story of the African American women mathematicians who worked for NASA during some of the most crucial years of the space program. The film was a commercial and critical success last year, with Octavia Spencer earning an Oscar nom and a Golden Globe win for her portrayal of “human computer” Dorothy Vaughan. Hidden Figures also stars Taraji P. Henson, Janelle Monae (! ), Kevin Costner, Kirsten Dunst, Jim Parsons and Mahershala Ali. Side note: Over the years, I’ve often passed by The Trapezoid Formerly Known As The Piazza and shaken my head at the public square being filled only by the sounds of Comcast Sportsnet — commercials and all — blaring to nobody. It’s not just uninviting, it’s a waste of space. So it’s always a welcome thing when the place puts its big screen and sound system to good use like this. 1001 N. Second St. More info here.